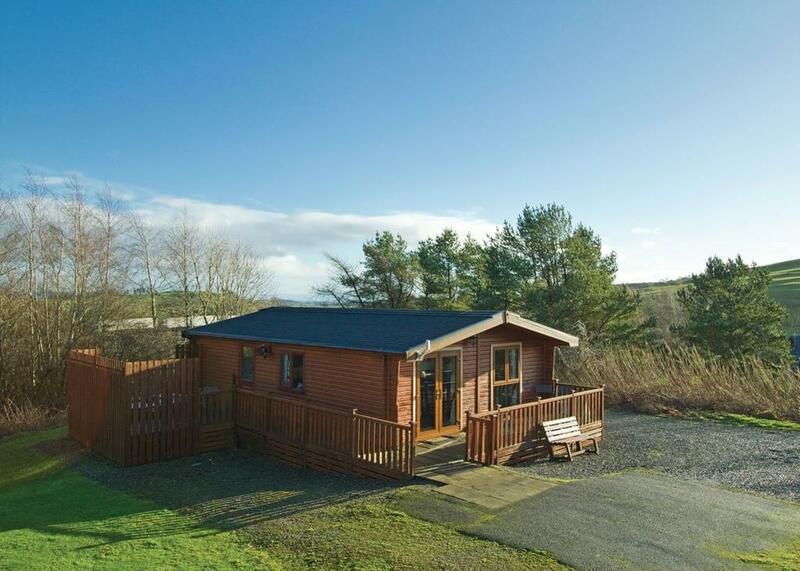 nunland hillside lodges Set in rolling countryside approximately 4 miles west of Dumfries, Nunland Hillside Lodges offer a relaxing haven away from the hustle & bustle of everyday life. Whether you are looking for accommodation for a family or are a couple looking for a luxurious break without the rigmarole and formality of a hotel, Nunland Hillside Lodges offer an ideal solution. Located amidst the rolling hills of Dumfries & Galloway and less than 5 miles from the ancient and historic town of Dumfries, Nunland Holiday Lodges offer luxurious accommodation options for familes or groups of friends. Each lodge can accommodate from 2 – 6 persons and guests may select from stunning hilltop lodges that proffer breath-taking views over the surrounding countryside, or traditional, sheltered lodges with contemporary interiors that nestle in the valley. Located in Holywood, Nunland Hillside Lodges offers accommodation with a TV. Free WiFi is offered throughout the property. nunland hillside lodges Set in rolling countryside approximately 4 miles west of Dumfries, Nunland Hillside Lodges offer a relaxing haven away from the hustle & bustle of everyday life. Whether you are looking for accommodation for a family or are a couple looking for a luxurious break without the rigmarole and formality of a hotel, Nunland Hillside Lodges offer an ideal solution. Offering commanding views over the countryside near Dumfries, our range of hilltop lodges has been expanded in 2016 with the addition of the Criffel Hilltop VIP. With sauna and oudoor hot tub, stunning living, dining and kitchen areas and bathroom with rolltop bath this four person lodge is the ultimate in self-catering accommodation. The units at the holiday park have a fully equipped kitchen with an oven, kettle, and a toaster. There is a seating and/or dining area in some units. Dumfries is 3.7 miles from Nunland Hillside Lodges, while Gretna Green is 25.5 miles from the property. Glasgow Prestwick Airport is 46.6 miles away. For families, Dumfries & Galloway offers a wealth of activities, young and old alike can enjoy the majesty of the rugged coastline, relax on safe sandy beaches or perhaps take in a little fishing on serene lochs. The Dumfries & Galloway area is often called a hidden gem, from Gretna Green in the west to Stranraer in the east but also offers a wealth of fine pubs and restaurants to suit all tastes and bugets. With numerous castles, battlegrounds and religious sites, South Scotland provides numerous sites of historic interest. Alternatively you may choose some retail therapy and after a hard day’s shopping simply sit back in the luxury of your own hot tub and soak up the breath taking views.